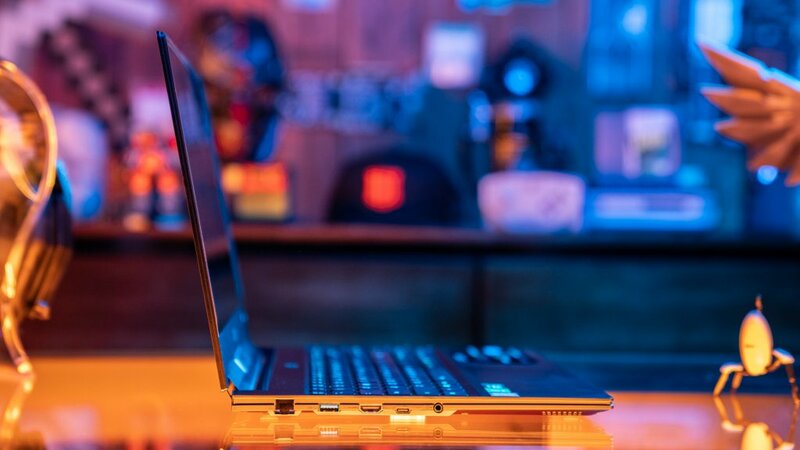 At first glance, the newest version of the GIGABYTE Aero 15, the Y9, doesn’t look like its changed much. There’s nothing wrong with that; the old adage “if it ain’t broke don’t fix it” comes to mind. Things may look mostly the same on the surface, but in this case, looks are deceiving. Under that familiar aluminum casing are some very serious upgrades that push the Aero 15 line into truly premium territory. 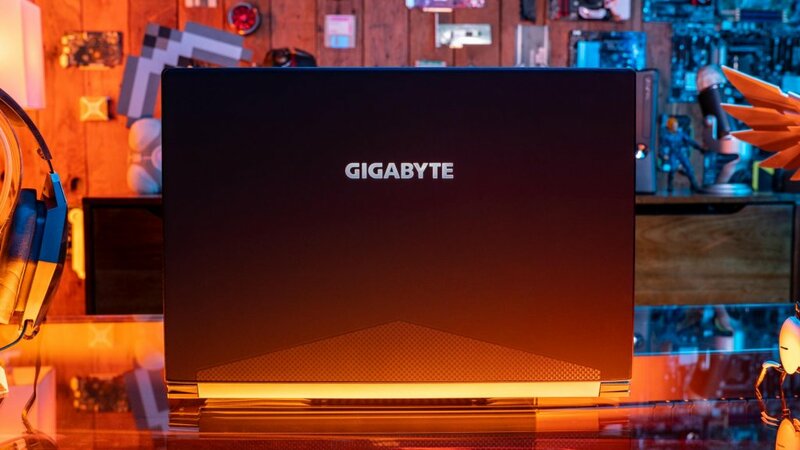 That’s why we were excited to get our hands on this flagship machine from GIGABYTE, and see how the newest version of this classy battle horse stacks up against others in the high-end gaming laptop world. You can get currently get the 2080 version of the GIGABYTE Aero 15 Y9 only at Newegg for $3,999. If you do pick up this powerhouse, you’ll also get a copy of Anthem, Metro Exodus, Battlefield V, a gaming mouse, and a GIGABYTE backpack as a nice bonus. As always, prices and promotions are subject to change, so click over and check out the product page to see current details. 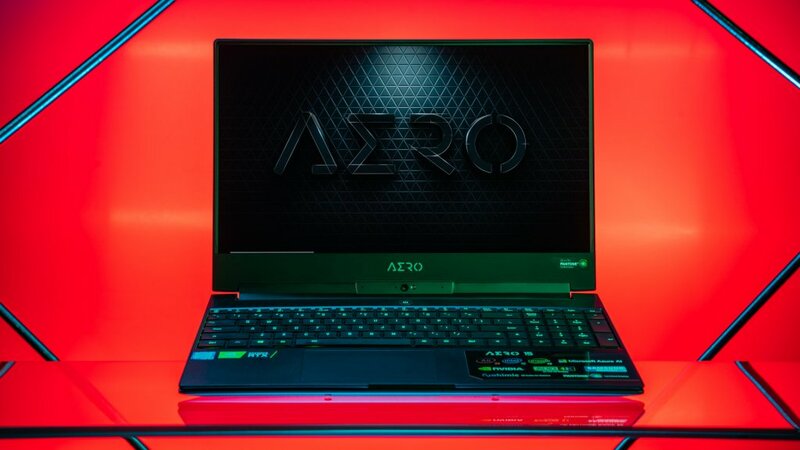 If you’ve been following the Aero 15 line the last few years, you know what you’re getting here. The fundamental design has barely changed; it still has the same small bezels around the 15.6” inch display, the same attractive and remarkably slim aluminum chassis. It’s from the “doesn’t look like a gaming computer” school of design, which is great for those of us who want a powerful PC you can bring to a meeting. That said, it’s still got plenty of RGB if you want it, including a logo that lights up on the back, and a fully customizable keyboard. It feels like the same keyboard as the last model, which is a good call, as that’s one of the best laptop keyboards around. When paired with the improved trackpad, the whole package feels premium. My only two issues with the design still persist though, alongside everything that works. The placement of the fans underneath the display push the hot air a little too close to the screen for my liking. Also, while I appreciate the thin bezels, the placement of the webcam at the bottom of the laptop is odd. The angle defaults to unflattering, and I’m not sure it’s worth including at all with such unintuitive placement. Those minor quibbles aside, the Aero 15 is an all around classy-looking computer. There’s a reason it hasn’t changed in years; you don’t need to evolve that sweet carbon fiber envelope look if it’s working so well. Though things look similar on the outside, the real meat of the upgrade is under the hood. As you’ve probably guessed by the price, this is a cutting-edge gaming laptop, with some seriously powerful tech inside. And of course, the GPU was significantly upgraded. This version of the Aero is packing a Max-Q RTX 2080; that’s pretty extraordinary for a PC that only weighs about four and a half pounds. It’s important to remember that because this is the thin-computer-friendly Max-Q thermal design, it’s less powerful than the full-sized desktop version of the RTX 2080. It’s the same Turing chip, but because the cooling system is different, you’re not going to get the same results you would from its beefier desktop brother. That said, you’re still looking at the same fancy Turing tech, like Ray Tracing, and a substantial improvement over the 10 series. And guess what? Even a slightly less powerful 2080 still crushes everything under 4K at Ultra, and if you don’t mind going a little lower than Ultra, you’re looking at a solid 4K AAA gaming experience. Pretty amazing how far we’ve come from the giant laptops of the 10 series cards from just a few years ago. A card this powerful is going to get hot, but luckily, the Aero’s fans seem to keep up. Though temperatures do go up, and you’ll hear the fans working, it was never uncomfortably hot. GIGABYTE allows you to control the fan speeds directly from your keyboard in addition to their robust software options, so if you want to crank them up to max settings, have at it. This version of the Aero 15 has a 3840×2160 IPS LCD display. It’s a good looking screen, with a full coverage of the Adobe RGB gamut, and Pantone calibration. It’s not OLED, but it’s an excellent display for content creators. In a lot of ways, it seems like this is the perfect high-end content creation laptop. 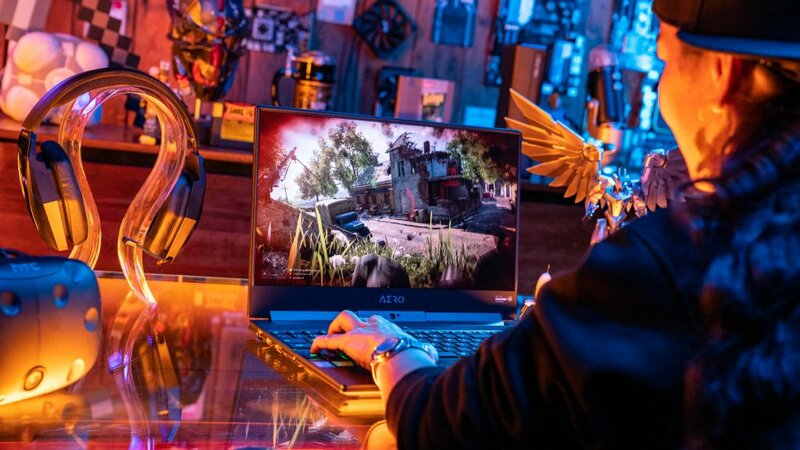 There’s no question that the Aero 15X Y9 is an excellent gaming machine as well, but the 4K display and 60Hz refresh rate is a bit of an odd match when used exclusively for gaming. Because of the Max-Q 2080, you’re looking at around 30 FPS for AAA 4K gaming at Ultra, and at 1080, you’re limited by the 60Hz refresh rate. This particular configuration lends itself better to those who want to create content, edit high resolution video, or use it for CAD software or 3D modeling. It’s a beautiful display, and a powerful GPU, so that checks a lot of boxes for content creators. 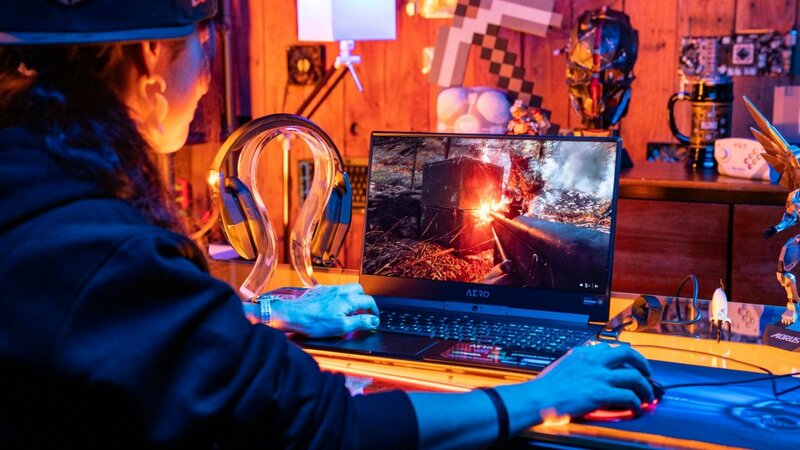 This computer can handle RGB 4K 10-bit H.265 HEVC decoding, and support 8K video playback, making it even more enticing for those who want to use the Aero 15 Y9 to get work done. If you’re more interested in gaming at a higher refresh rate at 1080p, GIGABYTE has plenty of options in both the Aero and Aorus lines as well. The 94.24Wh battery is solid for a laptop in this space, but, as you’d expect from the high-powered components, battery life is not going to be super great when the PC is in heavy use. Between the 4K display and RTX 2080 GPU, you’re going to want to stay near an outlet if you’re doing any serious gaming. 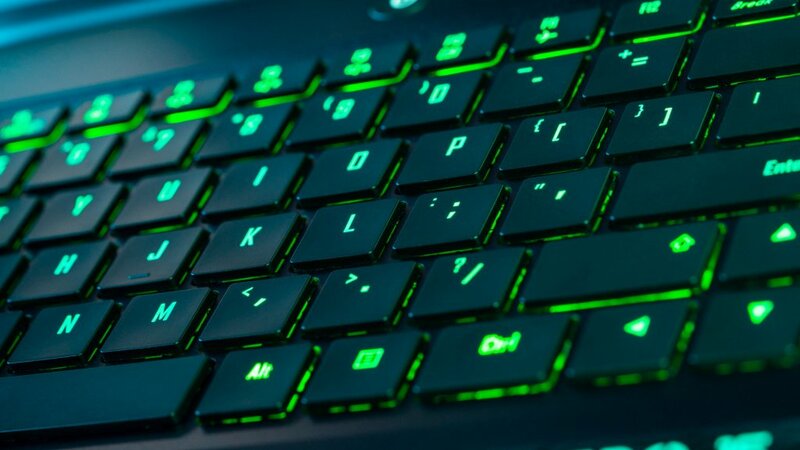 This laptop does use NVIDIA’s Optimus tech however, which means the GPU is only in use when it needs to be, leaving the integrated graphics to do the rest. This helps to save battery life when you’re using the computer for lighter tasks. The Aero 15 is very well connected. 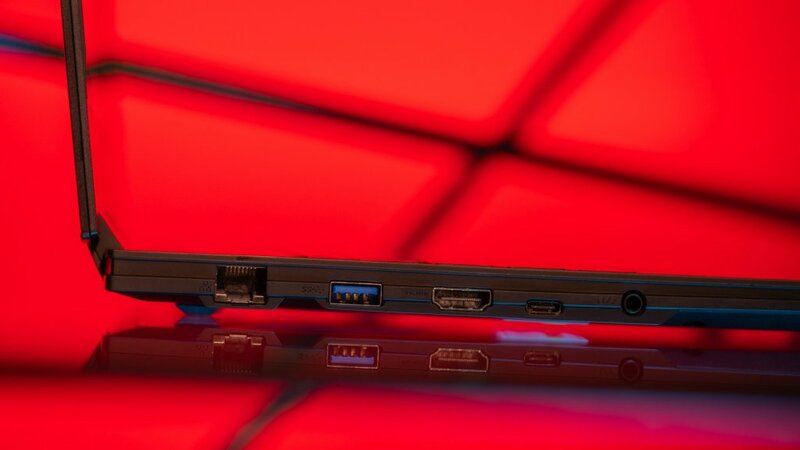 It has a full suite of ports, including Thunderbolt, two USB 3.1, a USB 3.1 Gen 2, HDMI, an SD card reader, and of course, standard audio jacks. It also has an ethernet port for those of us who like to be directly wired in. This plethora of connectivity options is surprising on a laptop this size, and very much appreciated. Having the option for multiple displays via Thunderbolt further opens up uses for both gaming and professionals. There are also a few other bells and whistles built in, like the Microsoft Azure Machine Learning platform, which theoretically can improve gameplay experience through machine learning and optimization. We’re also looking at Killer Wireless-AC 1550 for Wi-Fi, and NAHIMIC 3 7.1 virtual surround audio. There’s no question this a premium machine. You can tell from the price certainly, but also from the emphasis on design, the small size, and the very powerful and precisely engineered hardware inside. 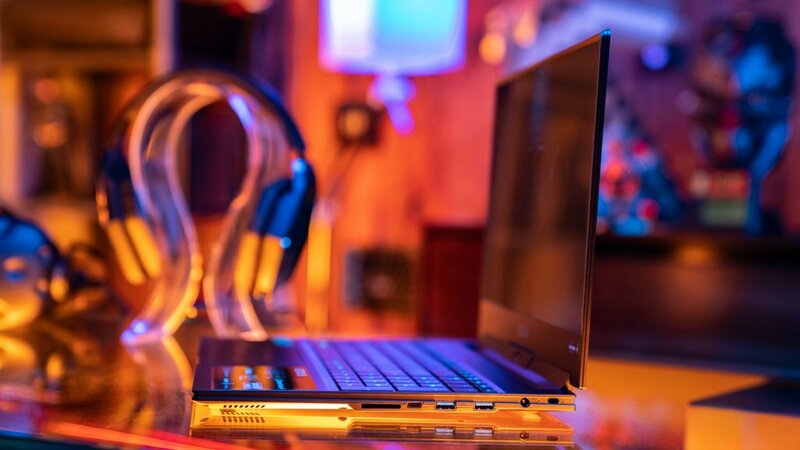 For content creators or a gamer who wants a seriously high-end experience, the GIGABYTE Aero 15 Y9 is a perfect example of all the extraordinary things of which a modern, full-powered laptop is capable.